In 1972, Atari was formed by Nolan Bushnell and Ted Dabney. Atari essentially created the coin-operated video game industry with the game Pong, the first successful electronic ping pong video game. It consisted of a black and white television from Walgreens, the special game hardware, and a coin mechanism from a laundromat on the side which featured a milk carton inside to catch coins. It was placed in a Sunnyvale tavern by the name of Andy Capp’s to test its viability, and within only a few days they realized they had a hit. When they arrived the next morning to fix the machine, they were met by a lineup of people waiting for the bar to open so they could play the game. On examination, the problem turned out to be mundane; the coin collector was filled to overflowing with quarters, and when customers tried to jam them in anyway, the mechanism shorted out. 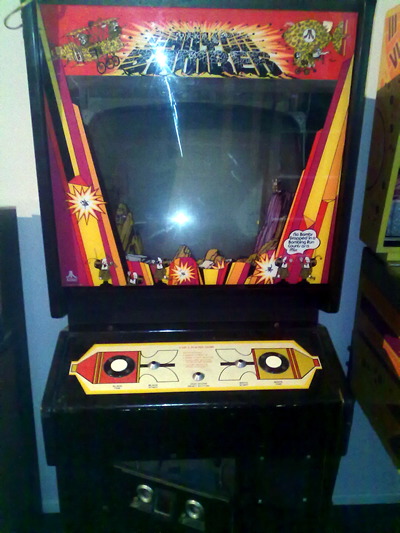 In 1984, the original Atari Inc. was split due to its role in the video game crash of 1983, and the arcade division was turned into Atari Games Inc. Atari Games received the rights to use the logo and brand name with appended text “Games” on arcade games, as well as rights to the original 1972–1984 arcade hardware properties. The Atari Consumer Electronics Division properties were in turn sold to Jack Tramiel’s Tramel Technology Ltd., which then renamed itself to Atari Corporation. 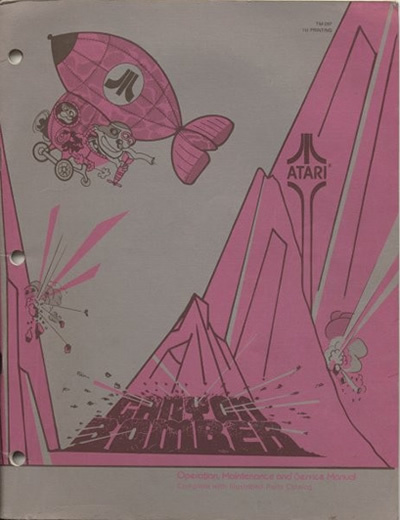 Atarimuseum.nl is the proud owner of the “Canyon Bomber” game. The field service manual of the Atari Star Wars arcade game is in the collection too.